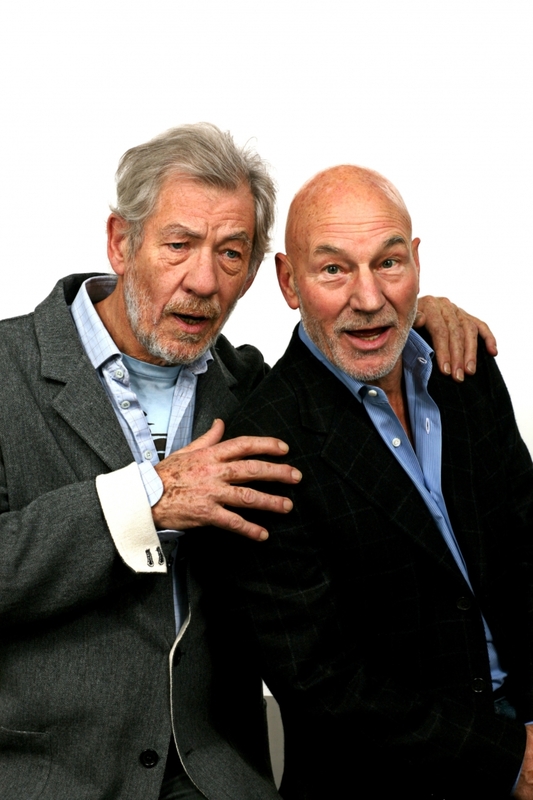 WillingToBeLucky.net: Magneto and Professor X set to Reunite on Broadway! Magneto and Professor X set to Reunite on Broadway! Producers have just announced that Sir Ian McKellan and Sir Patrick Stewart are not just coming to Broadway, but are teaming up to do Samuel Beckett's "Waiting For Godot," a show they previously did on the West End, AND Harold Pinter's "No Man's Land" IN REPERTORY! Could this be any cooler? Not only do we in the States FINALLY get to see the much talked about Waiting For Godot from 2009, but we will also get to see them perform in a classic Pinter piece! Sean Mathias (who directed them on the West End) will return as director for both shows. Samuel Beckett’s Waiting for Godot "follows two consecutive days in the lives of Vladimir (Patrick Stewart) and Estragon (Ian McKellen), who divert themselves by clowning around, joking and arguing, while waiting expectantly and unsuccessfully for the mysterious Godot." No Man’s Land tells the story of two writers, Hirst (Stewart) and Spooner (McKellen)—but do they really know each other, or are they performing an elaborate charade? The ambiguity intensifies when two other men arrive. Does the quartet inhabit a place between reality and fantasy? No Man’s Land premiered in 1975 at the National Theatre in London, then debuted on Broadway in 1976. No Man's Land will have a summer try-out with details forthcoming. No set dates for the Broadway run. I can't wait. Can you?? ?